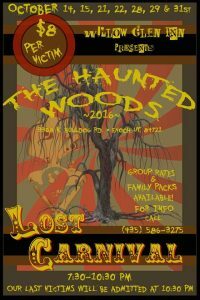 The Haunted Woods and Lost Carnival is at the Willow Glen Inn (3308 N Bulldog Rd) on October 22, 28, 29 and 31st, 2016 from 7:30 pm to 10:30 pm. $8 per victim. 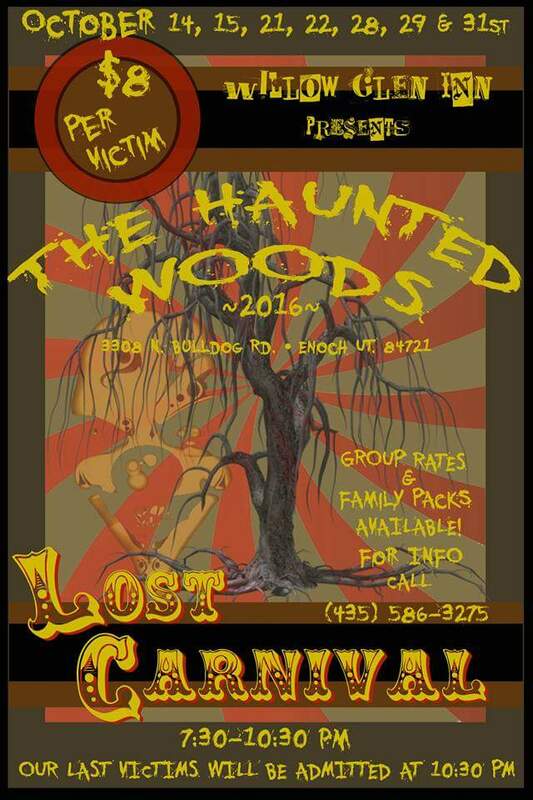 Group rates and family packs available for this Halloween event. For more information call 435-586-3275.